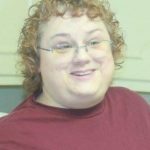 Rhonda Lynn Kern, 54, passed away on Saturday, November 3, 2018 in Granbury, Texas. Private family services will be held at a later date. Rhonda was born on July 2, 1964 in Kansas City, Kansas. She loved her nieces and nephews and she loved being the fun aunt. She was practically a second mom to them. She was a great storyteller, and she enjoyed building computers and taking photographs. Rhonda is survived by her parents: Sharron Kern and Jerry Kern, siblings: Carla Vackers and husband Darrin, and Doug Kern, and nieces and nephews: Darrin Vackers, Jr., Travis Vackers, Eric Redus, Cassie Bethune and husband Jake and their child Damon, and Samantha Redus and her child Logan. So sorry to hear of Rhonda's passing. She talked often of her nieces and nephews and their visits together. Your family will be in my thoughts and prayers. I learned so very much from Rhonda. She was charming, smart, and someone who left a wonderful mark on my life. May she rest in piece. Sharon, I am so sorry to hear of Rhonda's passing. You and your family will be in my prayers and thoughts for strength and peace in the days to come. I have fond memories of Rhonda from our days in Camp Fire back in Shawnee. Rest in Peace Rhonda. I was very sad to here of Rhonda passing. I worked with her and she was an inspiration and a fun person to work with.